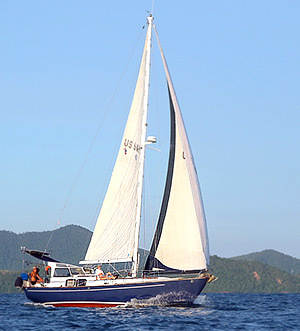 Phuket yacht charter | Yacht, fishing boat, a catamaran or speedboat. 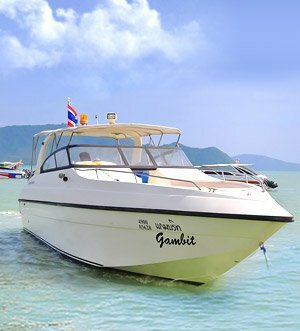 Private boat rental Phuket. Exclusive sea and land excursions! Personal accompaniment for all time of rest! For your convenience we included the most part of our services into the price. We do our best for your convenience. We suggest you to begin your holiday with the best you may find: private sea trips around the islands for you and your friends! 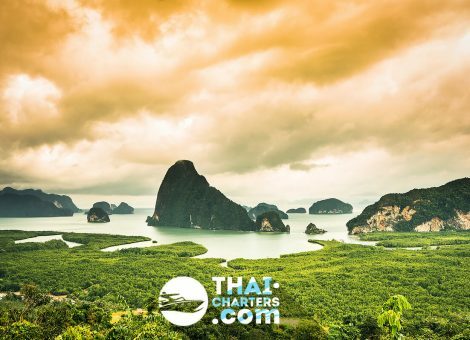 With Thai-Charters company you can visit all nearby islands from Phuket, go for spearfishing (free service! 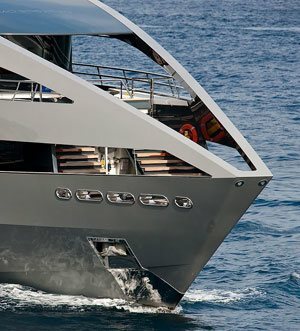 ), rent out a sailing or motor yacht, fishing boat, speedboat, sailing or engine catamarans, or even a luxury Princes’s yacht. Every way you go with us – we assure you that we will make your journey extremely comfortable so you will never forget this experience. If renting out a yacht for a group of more than 6 people, the renting cost per 1 person may turn to be even cheaper than a ticket for one person for a group trip from a tour operator. Did you leave a smartphone charger at your hotel? – No problem! On every yacht, we gave a set of chargers for all kinds of a smartphone. Did you leave your camera? We will provide you with a GoPro camera for free for a period of your voyage which enables you to make photos even under water. Were you lucky to take a picture of a pod of dolphins? Share it with your friends on Facebook – we have Wi-Fi onboard! Found a school of tuna? We have all necessary fishing equipment on board. On the shore, we can arrange a BBQ using fish you caught or we can make fresh and delicious sashimi. 60 kilometers north of Phuket is located Phang Nga province and Phang Nga National Park with its unforgettable rocks and numerous islands. 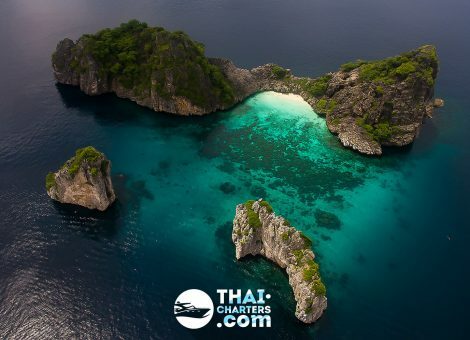 There are two main islands — Phi Phi Don and Phi Phi Ley (the movie “The Beach” with Leonardo DiCaprio was filmed there). 50 miles to the southeast of Phuket in the Andaman Sea are Koh Haa islands, which are real pearls of Thailand. 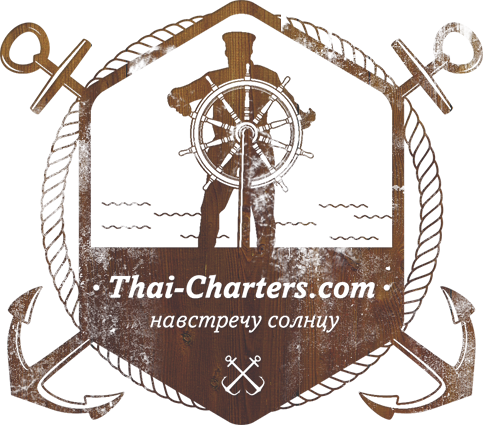 THAI-CHARTERS – YACHT RENTALS IN THAILAND (PHUKET, PATTAYA, SAMUI). 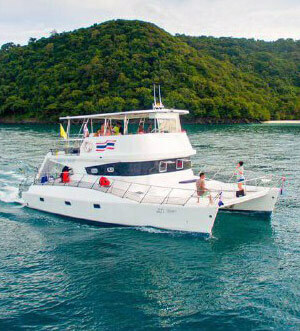 PHUKET YACHT CHARTER, YOUR PRIVATE SEA ADVENTURE. 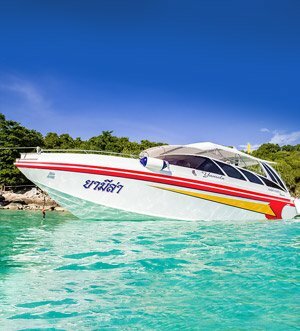 Rentals of yachts, speedboats, fishing boats, catamarans in Thailand (Phuket, Pattaya, Samui). Private tour in Thailand (Phuket, Pattaya, Samui).